Kurt woke up at 8 a.m. and quietly got dressed in our dark room before heading out. He and a few other of our friends had plans to rent a car and visit a geothermal plant (they are enginerds) and hike to the Hot River. I slept in a little bit longer, falling into the rhythm of the late Icelandic sunrise. I had my own itinerary for the day, and I was looking forward to a solo adventure. 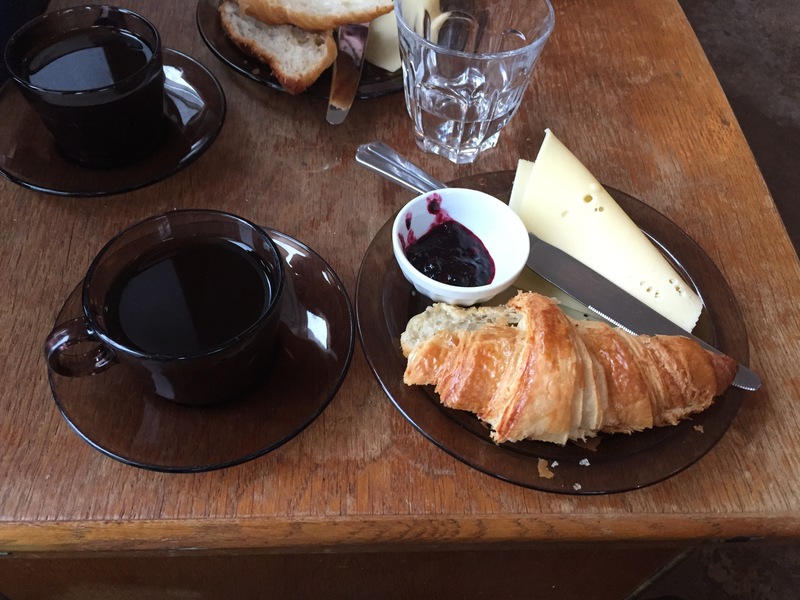 First, I met Lauren and Charlie for coffee and croissants at Reykjavík Roasters. They had a little bit of time to hang out before catching their Flybus to the airport. The mugs at the coffee shop were some of the tiniest ones yet, but the servings were bottomless so I got a few refills. It took this trip for me to realize that my coffee addiction has reached Gilmore Girl levels. Lauren and Charlie told me a little more about their horseback riding excursion a few days earlier, as I had booked a ride at the same stable for the afternoon. They had done some galloping during their trail ride, and Lauren’s horse, Harpa, tripped while going down a river bed and tossed Lauren to the ground. “But don’t worry, it’s a fun time!” they both said. OK then. 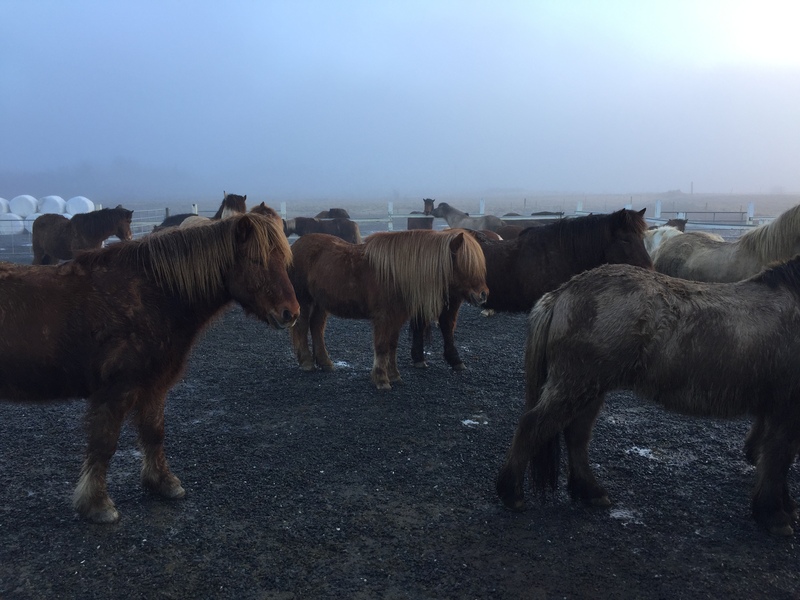 We arrived at the stable, about 30 minutes outside of Reykjavík, and met the rest of our group. The stablehands sized us up with their eyes one by one, then handed us a one-piece rubber suit to put on over our clothes. The suits were bulky and cumbersome, but they would keep us warm and dry in the rain and through river crossings. The trail leader, a thin blond woman with a no-nonsense demeanor, went down the line and asked each of us how much riding experience we had. Everyone said that they’d done a few trail rides before, “but not in a few years.” I took riding lessons through junior high and used to jump, but it’s been literally decades. After I replied to her question, she pointed to a brown horse by the fence and said “You take Harpa.” Of course. We mounted up on our horses, then followed another young, blond woman who was the assistant guide (everyone in Iceland looks vaguely like Margot Robbie, and no, it doesn’t give you a complex, like, at all). The horses followed each other, nose to tail, out of the paddock and along the gravel road to the trail. Harpa liked to be right up front, behind or next to the leader. As we began our trail ride, muscle memory of my old riding lessons came back. I relaxed in the saddle, letting my hips swing with the horse’s movement. Our guide brought her horse to a trot, and the rest of us followed suit. I looked forward to doing some cantering in the rolling farmland hills. Unfortunately, we never worked our way up to anything more than a trot. About 40 minutes into the 2-hour ride, Margot Robbie #2 paused the train, told us to wait, and then dismounted and walked towards the back of the group. Up at the front, I couldn’t see what was going on behind me. A few minutes later, she returned on her horse, leading a riderless horse by his reins. What happened his rider? I wondered. Then I recognized the horse as belonging to Margot Robbie #1. Our guide led us down the road a bit further, then told us to stop and dismount to give our horses a little break. Once I climbed down off Harpa, I saw Margot Robbie #1 walking on the ground while holding the bridle of another horse. The rider had apparently been having some control issues. 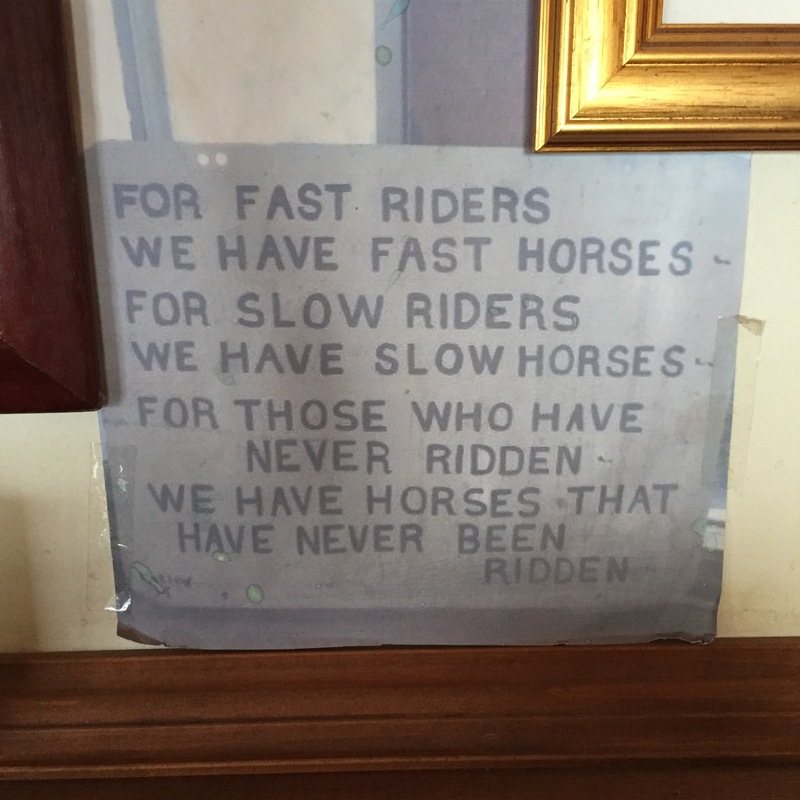 As we stretched and let our horses nibble at grass, the Margots conferred with each other for a moment, then asked us in their usual brief, all-business manner: “Everyone OK with going fast?” We weren’t sure what they meant: more trotting? or would we move up into a canter? Would we get to try the famous Icelandic fifth gate, the tölt? We never did find out, as a few of the beginner level riders quickly said that they didn’t want go any faster than the trot. Margot #1 nodded crisply, and we mounted back up. Almost immediately, a horse named Sparkles decided that she was over it and took off the wrong way down the trail, despite the panicked shouting of her rider. Two other horses decided to follow for funsies, adding to the rebellion. Margot #1 had to shoot down the road after Sparkles and grab the reins. We got back on the trail. About 20 minutes later, we stopped again because someone fell off while walking. For the rest of the ride, the Margots had to run a tight ship to compensate for our group’s lack of horsemanship skills. Next time, I’ll sign up for the intermediate group. I do want to thank Harpa, who was nothing but a dream for me. She did have a tendency to try to kick any other horse who got too close to her rear, but I get that. We reached the horse farm, ending our leisurely afternoon ride. I dismounted, gave Harpa lots of pets and neck rubs, and hung up her bridle, then changed out of my rubber suit. The group of us clambered back into the shuttle bus, smelling horsey, and got dropped off back in the city. Back at the Airbnb, I showered and dressed. With our group reassembled after everyone got back from their day’s activities, we walked into the city center and ate dinner at Frederiksen Ale House, then stopped into Pablo Discobar solely because of the name. Their signature cocktail involved Cocoa Puffs. We ended up not staying, and decided that the wise decision would be to make it an early night. The next morning, we needed to be up bright and early for our final excursion: the Game of Thrones Tour. Hey Kim..! 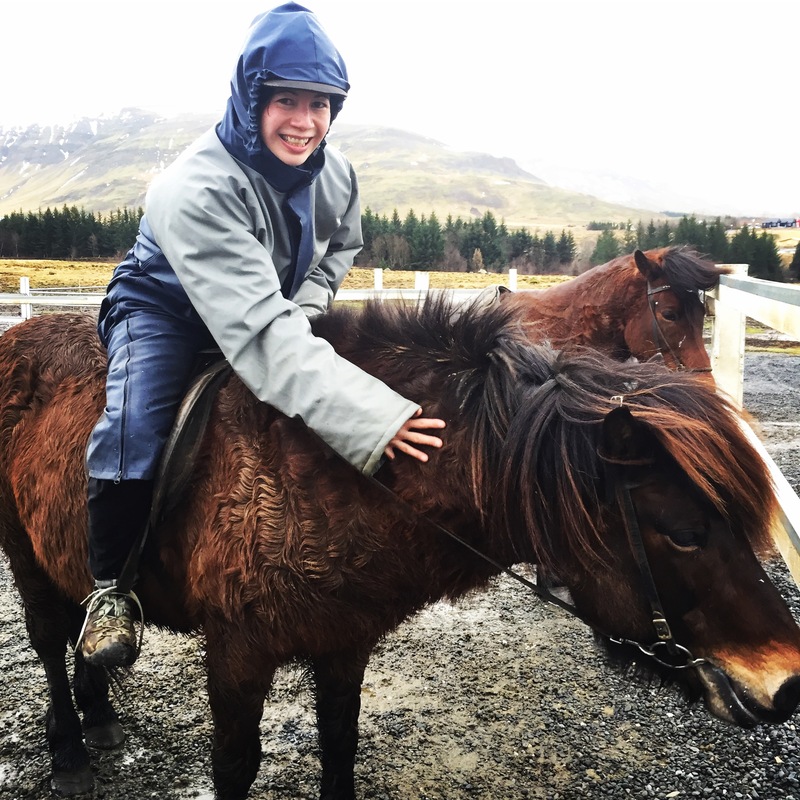 Thanks for sharing your Iceland horse riding experience. I am going to experience the same next year with TripGuide Iceland tour packages.